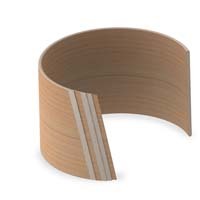 The club date line was originally introduced in 1962 as a lower cost alternative to the Super Classic drums. 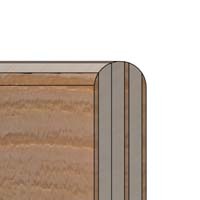 Ludwig has re-introduced Cub Date shell packs. 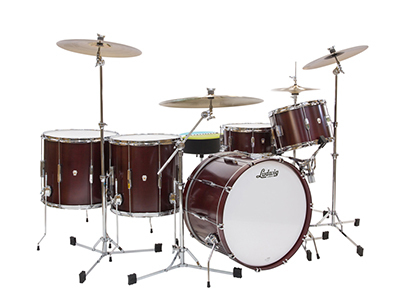 Ludwig Club Date Drums offer classic beauty with warm well balanced tone and they're still made in the USA. 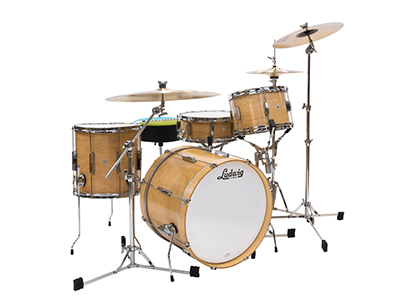 Shells are constructed using a vintage style 7 ply Maple/Poplar/Maple shell with a rounded bearing edge and a revised imperial lug design. Colors include Silver Mist Sparkle, Blue Strata, Ruby Strata, Cherry Satin and Natural Satin. 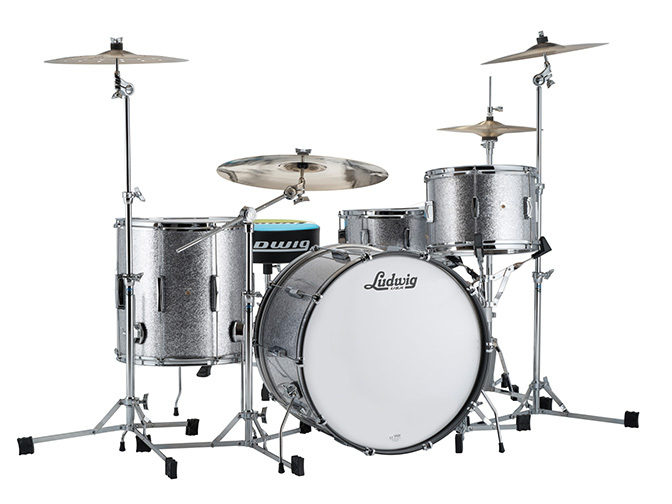 Ludwig is also offering a Club Date Vintage configuration. 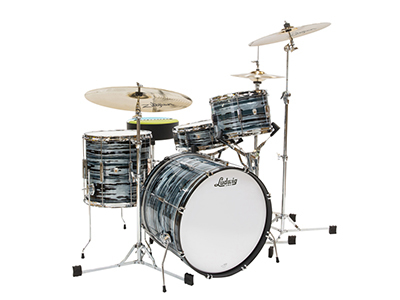 The Club Date Vintage features a 9x13 tom, 16x16 floor tom, 14x22 Bass drum and optional matching 5x14 snare in Silver/Blue or Black/Gold Duco finish. Please contact us for details or a quote on the current lineup of Ludwig Drums. Want an incredible Club Date Drum Kit price?